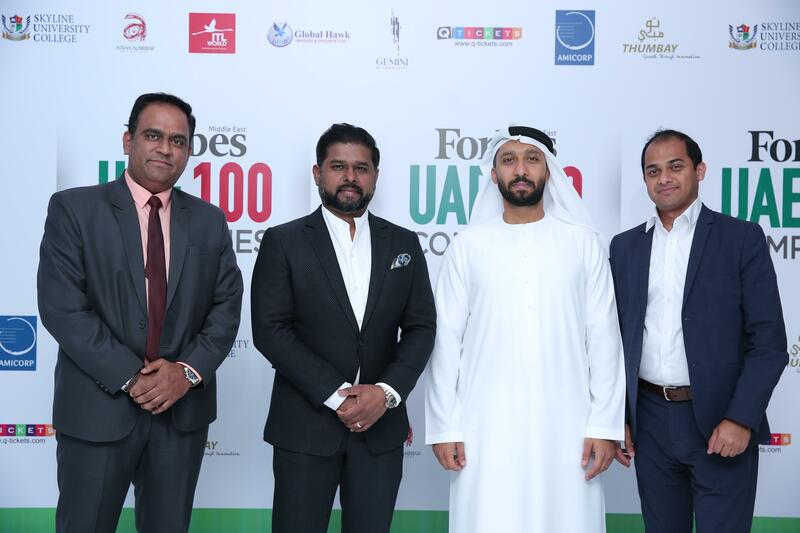 #ITLWorld celebrating excellence at #ForbesMiddleEast Top 100 UAE companies. 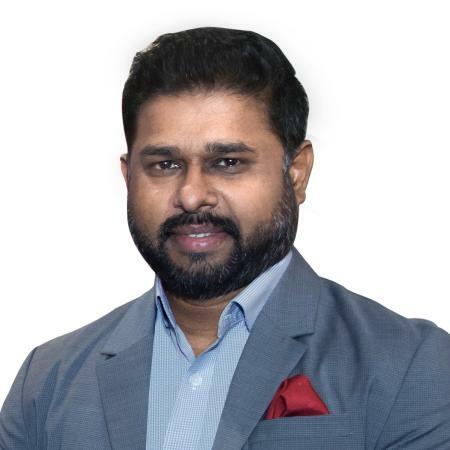 Dubai: Looking ahead to 2019, ITL World, one of the region’s fastest growing travel management companies, is positive on the year ahead with a clear roadmap for various technology implementations aimed at increasing efficiency. Since its official launch in 1998, ITL World has been assisting companies across the globe to make the most of what they spend on travel. For travel and procurement managers, it means advising them on how to grow the value of their travel program. By 2020, the company, which operates in the Middle East, Asia & Europe, is aiming to extend its offering to North Africa and South East Asia. “We have had another great year and are hopeful about the future as we build our global network with a consistent value proposition that includes continued focus on innovation, collaboration and unrivalled customer satisfaction. When it comes to corporate travel, the way professionals travel for business is constantly changing, and 2019 will be no exception. It is important for us to keep up with our discerning clientele,” added Mohammed. Keeping technology at the forefront, ITL World has created a roadmap for inclusion of NDC, a travel industry-supported program launched by IATA for the development and market adoption of a new, XML-based data transmission standard. With this, the company is aiming to transform the way air products are retailed to corporations, business travelers, by addressing the industry’s current distribution limitations. The new Sabre Red Workspace (SRW) will help simplify travel complexity and assist airlines with upselling customized airline content. It increases the consultant’s ability to shop and book branded fares and ancillaries, which in return increases airlines revenue. Customers have increasingly demanded personalization, choice and the ability to unbundle every component of a ticket and dynamically re-bundle it to match their needs. “SRW enables leading Travel Management Companies like ITL World to efficiently meet the expectations of the connected and well informed traveler. Having greater information and insights within consultants workflow allows them to design traveler experiences versus just offering itineraries,” adds Ramzi AlQassab , Commercial Director, ME at Sabre Travel Network Middle East. “With a shared commitment to our clients, we are committed to working with partners to leverage our integrated technology stack and deliver a smarter working environment for business travelers through cloud-based online solutions. We have deployed these products already and will continue to drive this with enhancements in 2019,” added Mohammed. “Incorporating new technology standards will benefit stakeholders across the travel ecosystem and we’re certain this will also contribute to our continued success in the region,” he concluded. A memorandum of understanding (MoU) was signed between ITLWorld & Saigon Tourist Travel Service Company. The agreement will jointly undertake promotional activities designed to boost travel and tourism to Vietnam, including tourism roadshows, site familiarization trips, product presentations and travel workshops. ITL World’s Kuwait Country Manager Najida Abdulla, and Saigon Tourist Travel Service Company represented by Nguyen Huu Y Yen, in the presence of the Chairman of Peoples Committee of Ho Chi Min City , HE Nguyen Thanh Phong and Ambassador of Vietnam H.E. 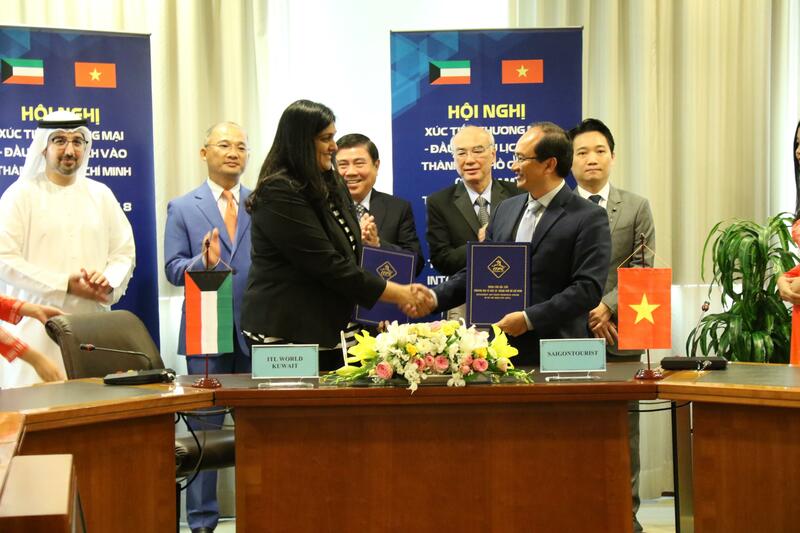 Trinh Minh Manh, on the sidelines of the conference on ‘Trade, Investment and Tourism Promotion into Ho Chi Minh City’ held recently in Kuwait. Eram Group & ITL World Chairman & Managing Director Dr.Siddeek Ahmed & the senior leadership team congratulating our ITL colleagues on winning the second runner up position for the Travel Agents Bowling Championship 2018 organized by Turkish Airlines in Istanbul on 12th May. Team ITL World represented the UAE, competing against 56 global teams and won the accolade after defeating 14 other global teams. 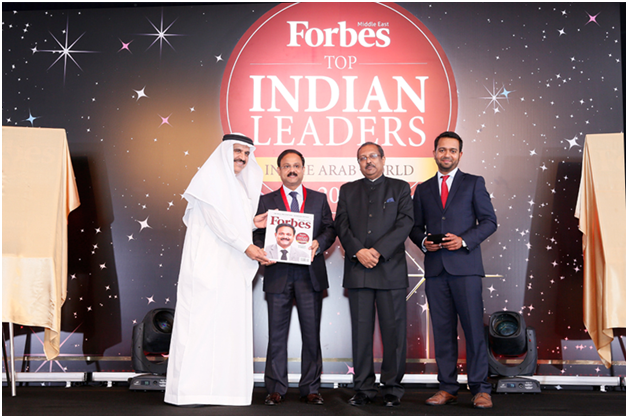 Forbes Middle East honoring our Chairman & Managing Director Dr. Siddeek Ahmed on being ‘The Region’s Greatest Success Stories’ amongst The Top 100 Indian Business Leaders in the Arab World. 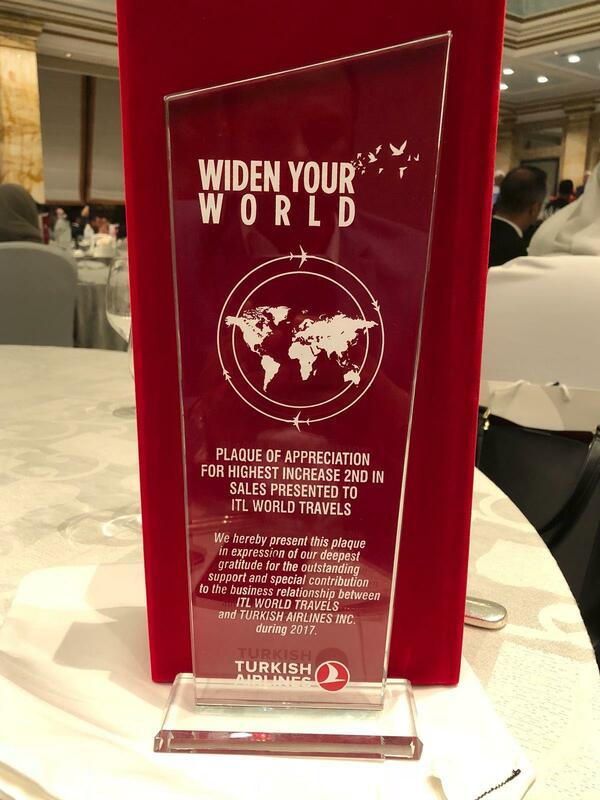 Turkish Airlines awarded ITL World Kuwait for the highest increase 2nd in sales and outstanding support to the business relationship. 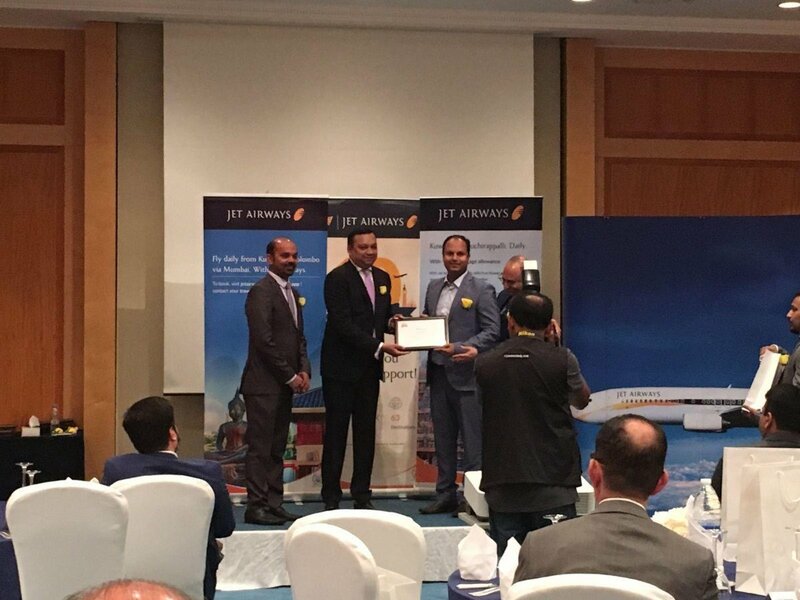 Jet Airways awarded ITL World Kuwait for invaluable contribution and support to the business relationship. 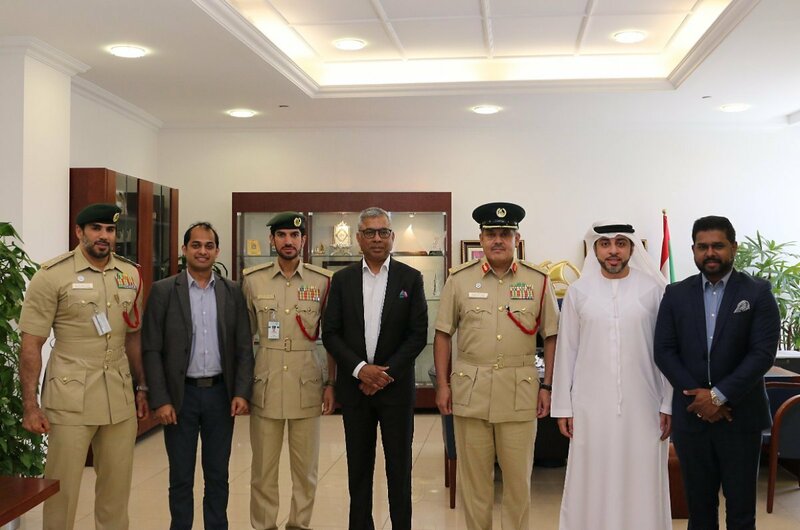 His Excellency Assistant Commander of Administration Affairs Dubai Police and high ranking officers honoring ITL World’s senior management team towards a recent partnership of organizing and managing one of their key strategic events. 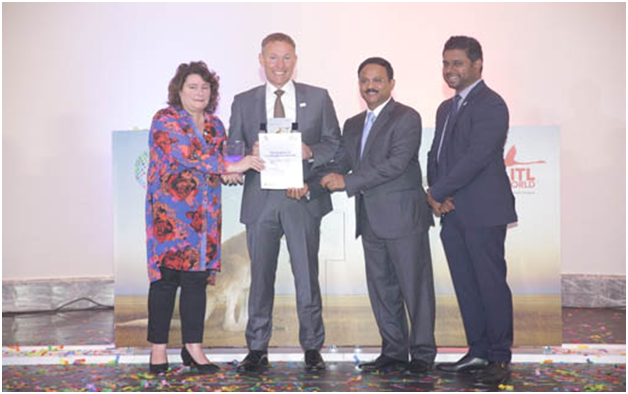 A Historical Moment – Maharashtra Tourism Development Corporation (MTDC) and ITL World signed four strategic Memorandum Of Understandings (MOU), towards promoting tourism in the State of Maharashtra at The Arabian Travel Market 2018. ITL World, the travel and tourism arm of Saudi-based Eram Group, opened on 31st of August is located at Ilford Exchange, Essex in London. 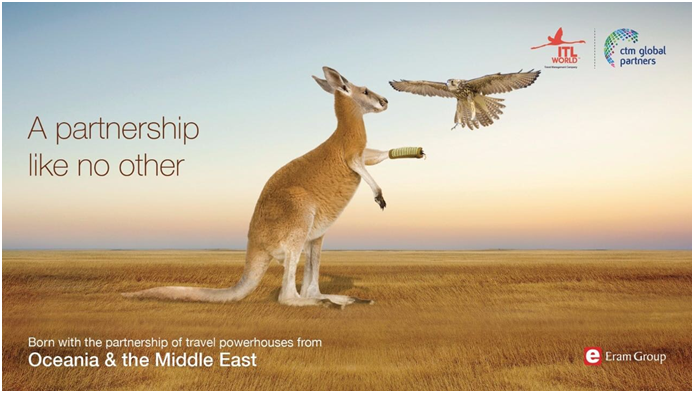 Highlighting travel agents and tour operators who have made the biggest impact in the Middle East over the past 12 months, Arabian Travel Magazine (ATN) has rated ITL World as the 5th Most Powerful Travel Company in the Middle East for 2 consecutive years in 2014 and 2015. 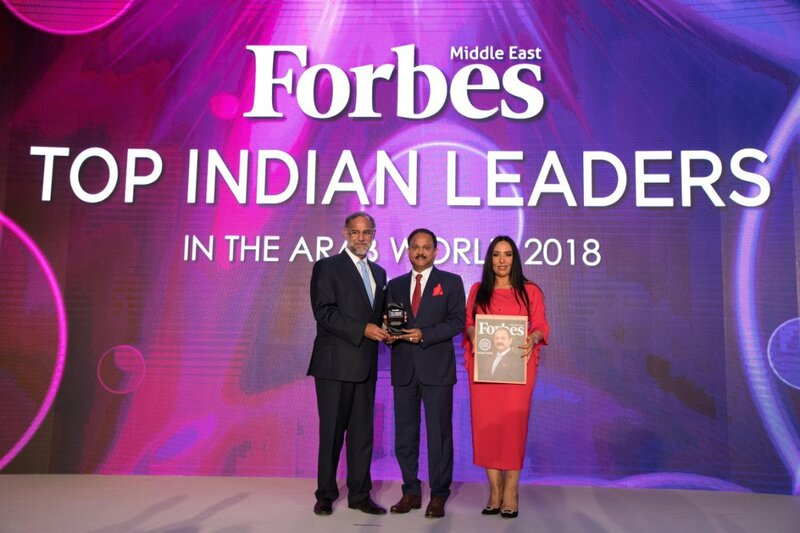 Eram Group’s Chairman and Managing Director Siddeek Ahmed was among the Top 20 Indian business leaders who were honored by Forbes Middle East during an award ceremony in Dubai recently considering their outstanding contributions to Arab economies. Dr. SA is placed in the list for 2 consecutive years in 2014 and 2015 as #15 & #14 respectively. 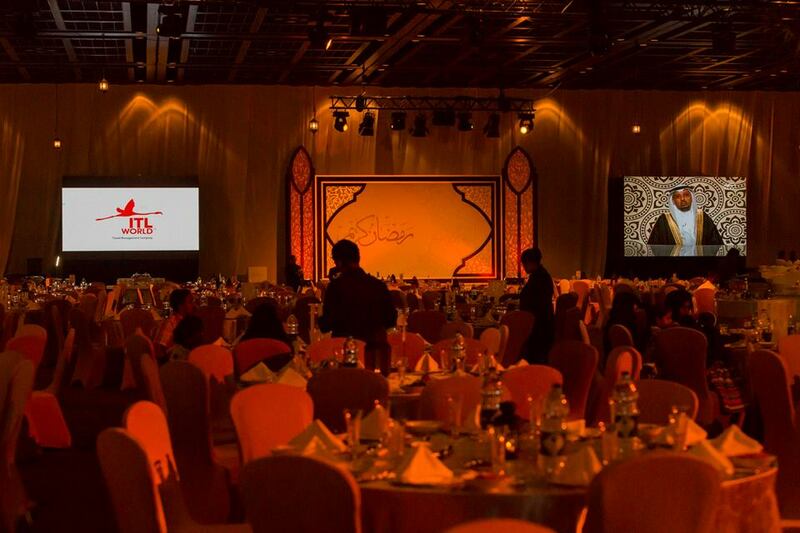 ITL World Travel Management Company and its parent company Eram Group hosted a Grand Iftar at Al Sheikh Maktoum Hall, Dubai World Trade Centre on 23rd June 2016. The invite was extended to Diplomats, business associates, partners, journalists along with staff & their family. 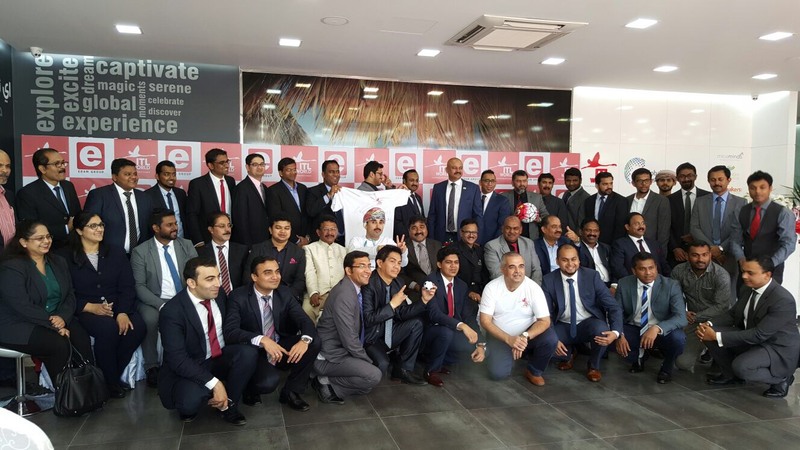 ITL World opened its first office in Muscat on Wednesday, 27 Jan 2016. 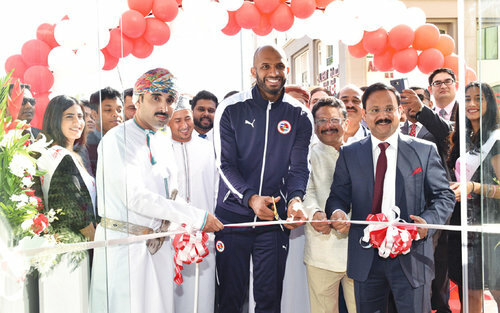 The office, located in Al Khuwayr was inaugurated by Ali al Habsi, Oman’s national Football team captain and English Club’s Leading Goal Keeper, in the presence of ITL World CMD, Dr. Siddeek Ahmed and Director Naseer al Salti. Dr. Siddeek Ahmed, chairman and managing director of Eram Group & ITL World, congratulated the great visionaries of the Kingdom for formulating the Vision 2030. He said while underscoring that the blend of traditional values with a modern and global outlook is ideal for the Kingdom’s tourism. 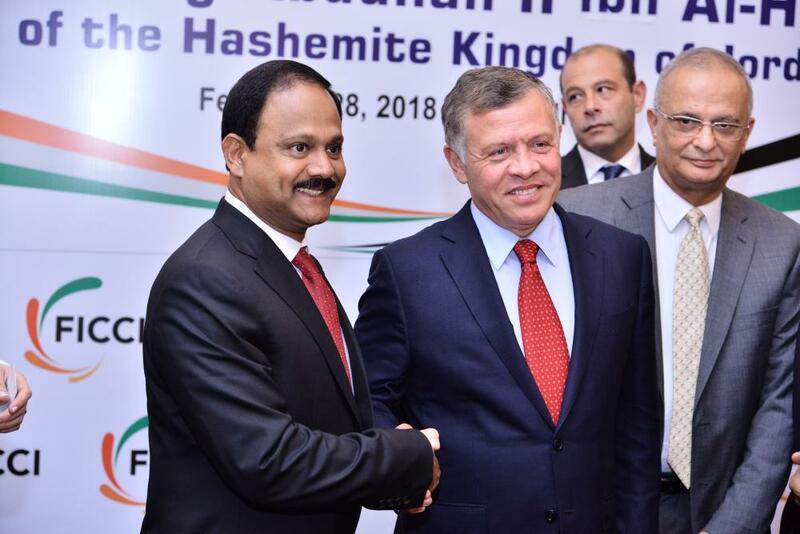 Ahmed also stressed the need to create awareness globally about the Kingdom’s Islamic archeological treasures and rich tradition, most of which are among the unexplored areas. The proposed World’s best Islamic museum in Riyadh is significant in this respect. “Saudi Arabia’s road, rail and air connectivity are a big plus point. The tourism expense such as transportation, recreation, food & beverage, restaurants and hotels is minimum compared to other tourism destinations in Middle East, which is an added value for the Kingdom’s religious tourism sector. ITL World has been one among the top sales agent in western region of Saudi Arabia. 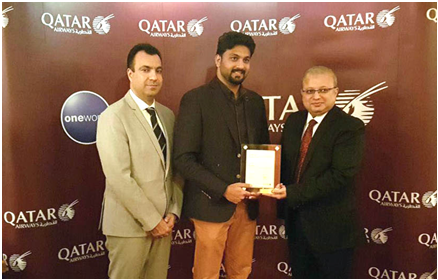 QR country Manager Mr. Ahmed Mir presenting the memento to Mr. Jinos Mohammed, BDM, ITL World. 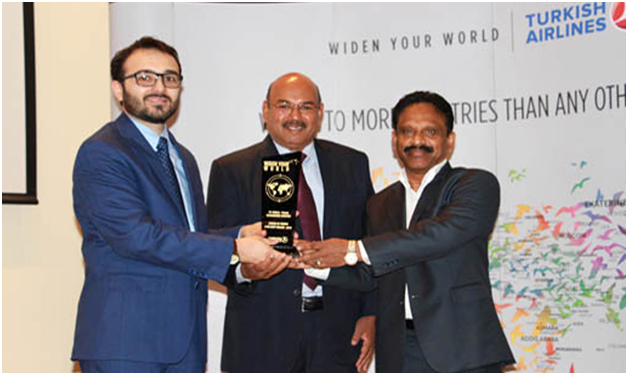 ITL World wins the award of honor for the 2nd best seller – 2015 in Eastern Province from Turkey’s national carrier Turkish Airlines during the annual meet at the Sofitel on 30 March to felicitate its best-performing travel and tourism partners. Mr. Abdu Shanavas & Basheer Ahmed receives the award from Mr. Abdullah Omer Celik, General Manager, Turkish Airlines, EP. Dr. Siddeek Ahmed and his Kuwaiti partner inaugurates the new office in the presence of the ambassadors of India, Australia, Albania, Mexico and Uzbekistan, and country heads of leading airlines in Kuwait. ITL World signed an exclusive partnership agreement with Corporate Travel Management (CTM), the award-winning global provider of innovative and cost-effective travel management solutions, for the GCC region. This partnership will enable ITL World and CTM to expand their global reach and leverage each other’s network and technology solutions to create a single fulfilment platform for their clients’ global travel requirements. ITL World will benefit from CTM’s proven business strategy, which combines personalized service-excellence with world-class client-facing technology solutions to deliver a return-on-investment to clients, while CTM will benefit from ITL World’s regional knowledge, relationships and expertise. ITL World exhibits at Saudi Arabia’s major travel industry showcase, Riyadh Travel Fair (RTF) 2016 during 12-15 Apr at Al Faisaliah Hotel, Riyadh. H.E Carlos Rodolfo Zapata, The Ambassador of Peru to the Kingdom of Saudi Arabia inaugurated ITL World pavilion which showcased a broad range of travel related products and services. ITL World has taken part in the 8th Riyadh Travel Fair by joining 250 other exhibitors, representing more than 55 countries. The fair which brings together leading tourism companies from across the GCC, attracted around 20,000 visitors this year. Qatar-UAE Exchange and ITL Travel signed and agreement to provide three, free vouchers to Gold Card and Club Exclusive customers who purchase air tickets through ITL. The vouchers can be used at any Qatar-UAE Exchange branch and will be valid in ITL till December 20. Picture shows officials during the signing ceremony. ITL World opened its office in Ajman on Monday, 13 Jul 2015. 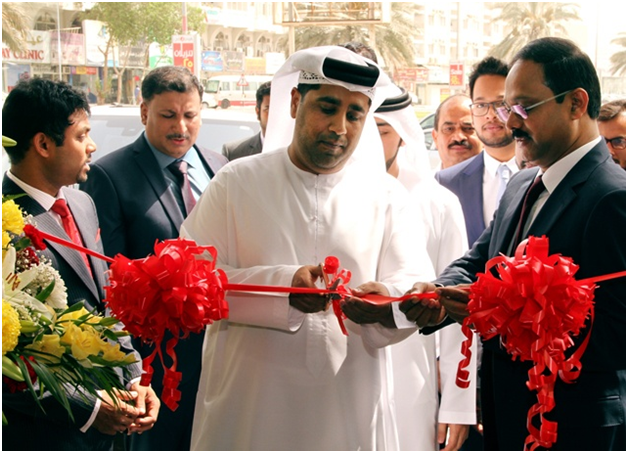 The office, located in Rashid Bin Umaid Street was inaugurated by Mr. Abdullah Muhammed Al Nuaimi in the presence of ITL World CMD, Dr. Siddeek Ahmed. Dr Siddeek Ahmed, Chairman and Managing Director of Eram – ITL Group has donated Rs 2 crore to provide food, shelter, medicines, drinking water and other flood relief requirements of Chennai flood victims. Dr Ahmed routed his donations to the Chennai flood victims through Mathrubhoomi and Malayala Manorama’s relief funds. ITL World collaborated with Forbes Middle East as valued partner for Most Powerful Arab Women 2015, exclusive event at the Oberoi in Dubai, UAE, on 16th September. Forbes Middle East has unveiled the names of its Most Powerful Arab Women for 2015 at a glittering awards ceremony that shone a light on some of the region’s most influential and accomplished leaders. The impressive event recognized the achievements of women in reaching the top of their fields in business and government and, in doing so, working towards a fairer and more equal working environment across the Middle East. 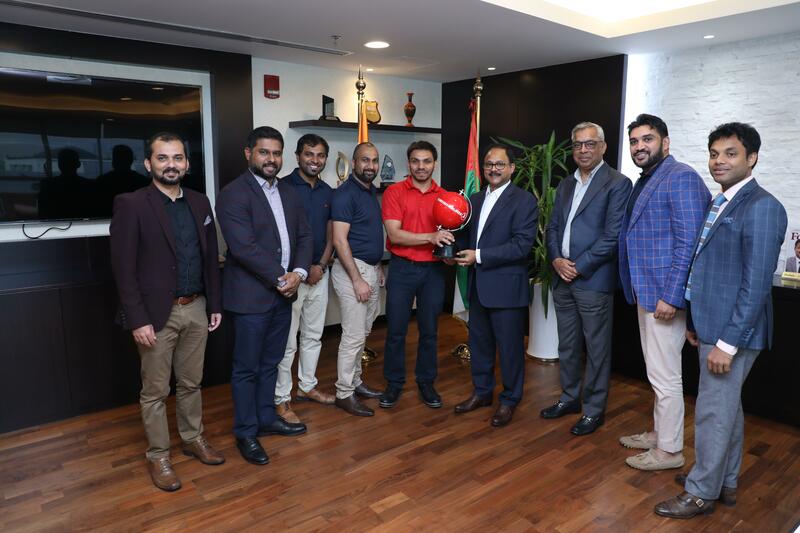 ITL World has partnered with the government of Dubai to support Sheikha Hind Women’s Sports Tournament, an event that encourages Emirati women from the government sectors in Dubai to participate in eight different sports across individual and team games. This sports tournament aims to encourage both physical activity and general well-being. The event is being held under the patronage of Shaikha Hind bint Maktoum bin Juma Al Maktoum, wife of His Highness Shaikh Mohammed bin Rashid Al Maktoum, Vice President and Prime Minister of the UAE, and Ruler of Dubai. Event starts from 04 Sep and continue until 19 Sep, 2015 at Dubai World Trade Centre. The tournament has attained remarkable success during the past years. The event attracts women’s attention for the importance of the exercise of sports and physical activities and to make the same as lifestyle. Russia took home the gold medal @ U23 World Volleyball Championship sponsored by ITL World. 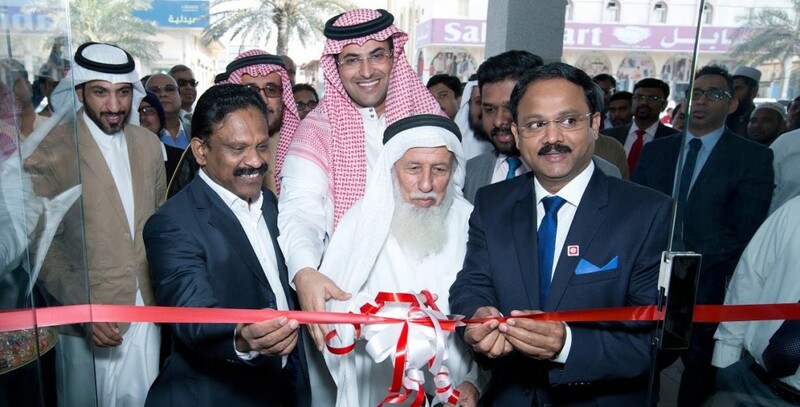 ITL World opened its new retail outlet in Dammam’s 91 district on 17 December 2015. 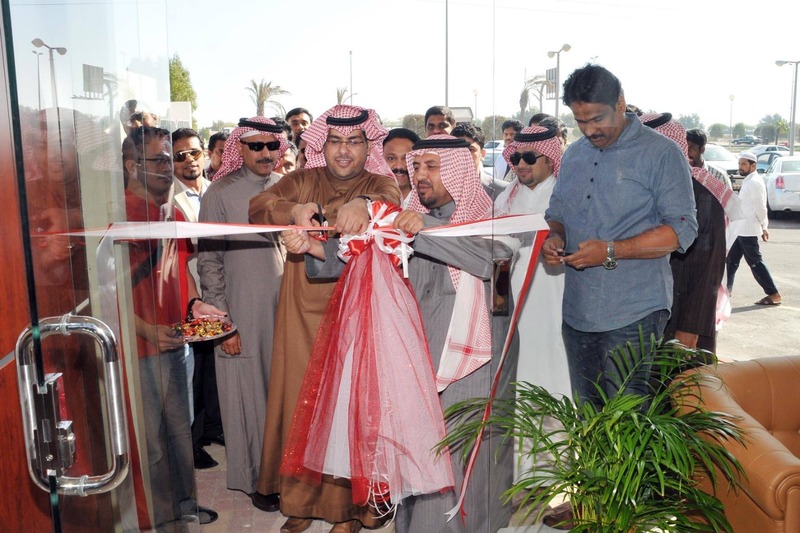 The office, located in Abu Bakr Alsiddiq Street was inaugurated by Mr. Masoud Nasser Al Qahtani in the presence of ITL World CMD, Dr. Siddeek Ahmed. ITL World Travel Management Company has signed an exclusive agreement with leading technology provider to the travel and tourism industry, Sabre Travel Network Middle East (STNME), to be their exclusive technology provider. 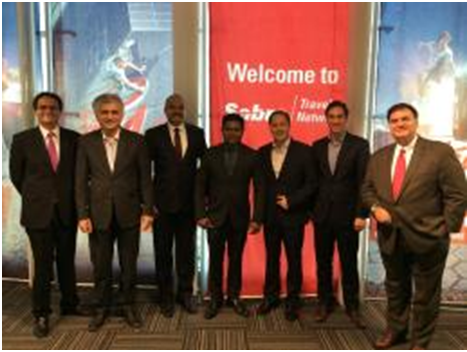 Under the agreement, ITL gains access to Sabre’s broad portfolio of technology solutions, including its industry-leading Sabre Red Workspace agency solution; Sabre Red App Centre, the world’s first B2B online travel app marketplace, and the latest mobile, data analytics, personalization and automation capabilities. Using this technology, ITL will be able to achieve its vision to be the best travel consultants in the Middle East region, delivering service with quality assurance to its customers. Prince Turki Bin Abdullah Al Faisal Al Saud opens ITL World’s 25th office in its Asian Network at the western city Jeddah, Kingdom of Saudi Arabia on the 21st January 2013 at 10:30am. The new office is located on Madinah Road, opposite Al-Fitaihi Center and close to headquarters of the Organization of Islamic Cooperation (OIC). ITL World facilitates its parent company Eram Group to bring World-Class Technical Training to the Middle East by partnering with American Society of Mechanical Engineers (ASME). 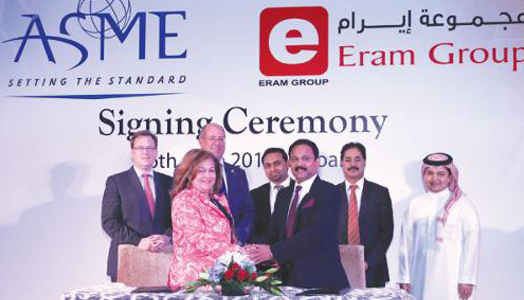 Under the terms of the agreement, Eram Group will serve as an authorized training provider to deliver ASME’s more than 300 courses to the region. ITL World opened its new office in Malaysia under a neutral brand identity of Tripmakers Asia during October 2013. Tripmakers Asia was formerly known as E-holidays, a budget holiday division of ITL World’s parent company, The Eram Group of companies. Tripmakers Asia is now a fully equipped DMC operation based in Kuala Lumpur, servicing requirements for Malaysia, Thailand and Singapore. 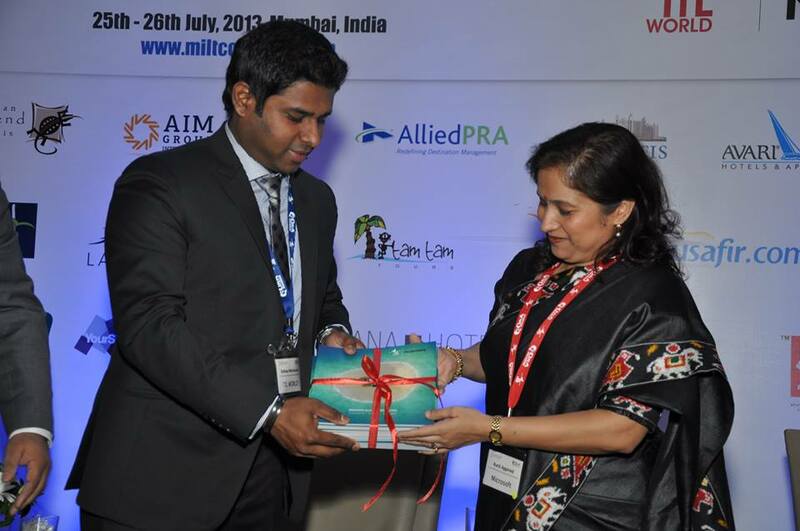 ITL World launched the brochure of their premium division, MICEMinds at the MILT Congress held in Mumbai. Miceminds is a premium division of ITL World catering exclusively towards the niche market needs focusing on customized solutions to the end users. The service platter includes a wide range of innovative offerings on various scales. ITL World opened another prominent office inside Diplomatic Quarters of Riyadh, Saudi Arabia in early June. This office looks after the elite clients and diplomats for all their travel and hospitality requirements in addition to having a dedicated visa services department. ITL World has been recognized as official visa agent for China and Turkey Embassies and VFS Visa Application Center. ITL World has been appointed as Preferred Sales Agent for MSC & Costa Cruises in KSA, Bahrain & Qatar. MSC Cruises is a leader in the Mediterranean cruise market, sailing in the region throughout the year and Costa Cruises is Europe’s no. 1 cruise company over 60 years. Its ships have plied the seas of the world, offering the best in Italian style, hospitality and cuisine and providing dream holidays with the utmost in terms of fun and relaxation. 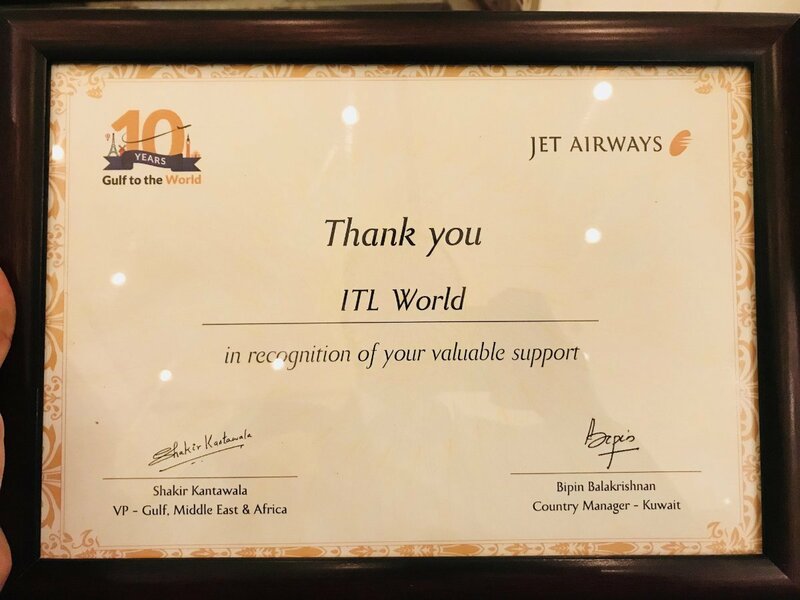 ITL World had been chosen by Maldivian Airlines, the official airline of the Republic of Maldives and its subsidiary – Maldivian Holidays, as the exclusive agent to represent the carrier in KSA and to represent their holiday products in KSA, UAE, Qatar, Oman and Bahrain. Maldivian Holidays is specialized and dedicated to providing professional and customized travel services. ITL World partners for MICE India & Luxury Travel Congress, ITL World is the proud strategic partner for the MICE India & Luxury Travel Congress 2013 (MILT Congress) held on July 25th and 26th at the Hyatt Regency, Mumbai. ITL World & Eram Scientific joined hands in sponsoring Onam Fest this year organized by Department of Tourism, Government of Kerala at Trivandrum city – India. 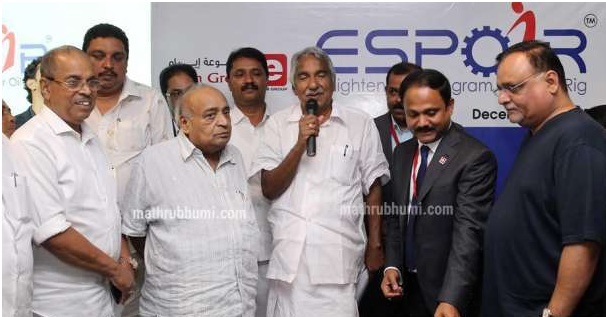 The event was inaugurated on 07th Sep evening by Kerala Chief Minister Shri. Oommen Chandy & continued till 13th Sep. Mr. Fazaluddin & Manesh from ITL Trivandrum answered the queries of public while our support staff Murali assisted throughout the event. Eighty serious enquiries were received at the stall and also managed to increase the customer data base. 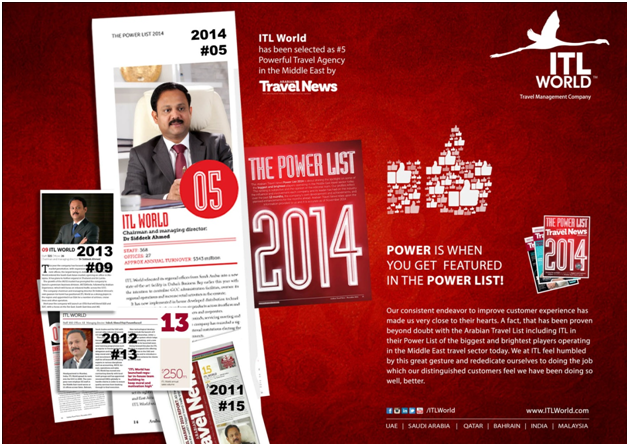 The objective was to increase and improve the brand of ITL World, which was successful. We had distributed balloons for kids with our logo & the Maveli in our stall attracted people in to it. A huge 10 feet screen displayed ITL sponsored visual travelogue Yatra’s major attractions. The Tourism authority claims to have 10 lakh visitors at the Kanakakkunnu Palace compound. Our Logo was displayed at all the pathways in all the locations of celebration organized by tourism authority. All major media in Malayalam language covered the event & our stall. 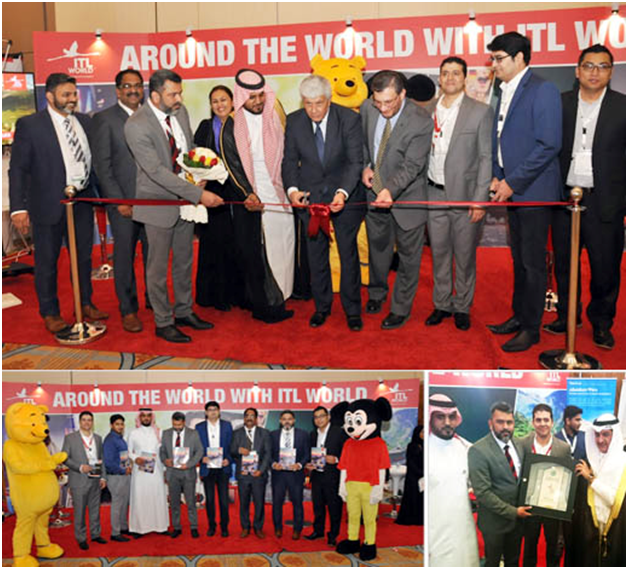 ITL World – Travel Management Company opens its 24th office in its Asian Network & 6th in the Kingdom of Saudi Arabia on the 28th November 2011, by Mr. Sattam Abdul Aziz Al Omairi. ITL World Travel Management Company in Saudi Arabia, local distributor for Disneyland Paris, Disneyland Hong Kong, Walt Disney World Orlando and Disney Magic Cruises, made a presentation about Disneyland products and services in Riyadh. “Disneyland Paris is one of the major attractions for the Gulf, especially for those who want to enjoy an atmosphere tailor-made for family tourism,” said Siddeek Ahmed, ITL managing director. “Children can enjoy their favorite Disney characters while parents relax,” said Ahmed, calling on travel agents of the Kingdom to promote the products in Saudi Arabia and make advance bookings through the ITL World well in time.